On Saturday, September 8, from 4:15-8:45 PM, TRBC will offer the 14th Annual Beast Feast. This is one of the worlds largest Wild Game Dinners serving wild harvested meats. Included at Beast Feast are seminars by the area’s outdoor experts. As always, the highlight of the event is the “Feast” which in past years has included: venison, shark, whole wildhog BBQ, and more. 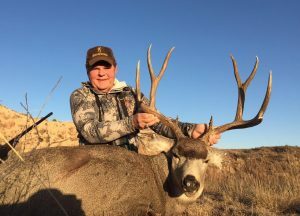 This year, we will have the privilege of hearing from Bob Reccord, avid hunter, business executive, and well-known speaker. 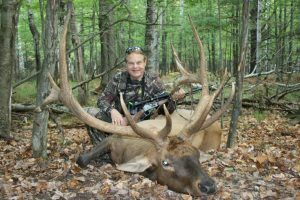 He has harvested big & small game on three continents and been a featured speaker for the National Rifle Association. Additionally, Reccord has is been a guest on a nationally-broadcast show on the Pursuit Channel. He is a passionate story-teller and co-wrote A Heart for Adventure, which includes 50 thrilling hunting adventures. At this years Beast Feast, he will share of his outdoor adventures, as well as, how to be a success in hunting and life. Lastly, for those present at the end of the night we will give away thousands of dollars worth of prizes. This event is FREE but you must pre-register to attend. Click here to register. *Important note: When you register, remember you must also register any friends or family members that will be attending with you! Also at Beast Feast – the Whitetail Kings Collection – The Whitetail KINGS Collection is a World Class Display of some of the most famous Whitetails of all time. There are 12 Head mounts and 1 full mount of the Famous Goliath in the display. Goliath was stolen for 3 years and then returned to the owners. He scores in the 400’s.